Pedalheads offers bike, swim, and sport programs to families across Canada. We focus on developing healthy, confident, and independent kids, ages three to 12, by way of our own teaching methods, small classes, and incredible instructors. 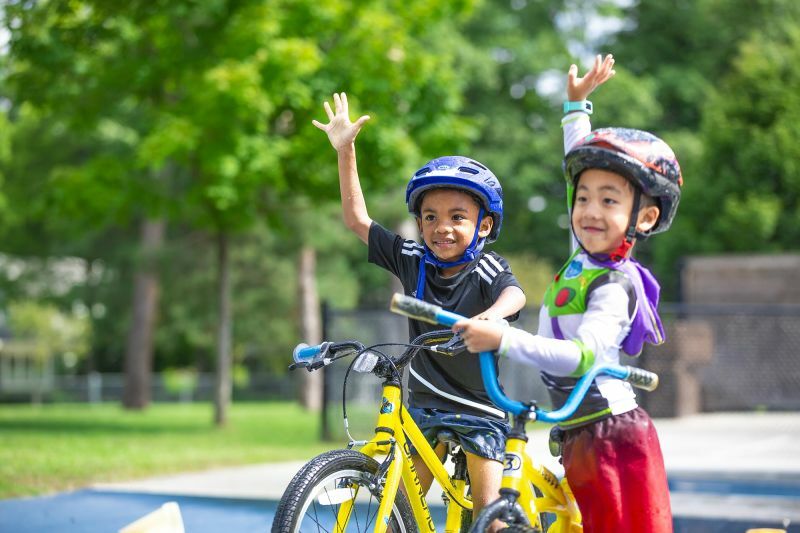 Our learn-to-ride bike program is best known for helping kids get off training wheels and safely ride on the road, and it includes a progression of instructional levels for you to choose from. Looking for a variety of fun? Our action-packed multi-sport camp introduces kids to soccer, archery, and more, and is great for kick-starting a passion for sports. If you’re seeking camps to keep your kids happy and healthy, check out our website and register them confidently! Pedalheads began more than three decades ago as principally a biking program. Kids came, learned to ride bikes, and then rode them, together, all over the place. That has continued to this day, though the organization has grown during the intervening years in every way possible: size, numbers, locations, levels, and programs. There are now 75 locations in 4 provinces and 4 US states. There’s good reason for that kind of growth: these are quality programs run expertly, with great care. It’s also due to the focus of the programs—it’s not about training for the Olympics, rather the focus is first on having fun, together with peers and mentors, and growing into active, healthy lifestyles. Kids feel less of a pressure to excel, perhaps as they would in a typical dance studio or gymnastics gym. Without the pressure of those kinds of goals, at least occupying such a central place in the culture of the camps, kids are free to develop skills, yes, but with fun, active engagement, and personal development as the true measures of success. In that, for many families inundated with so many competitive options, Pedalheads is a very welcome breath of fresh air. That isn’t to say there isn’t ample opportunity for skill development—there is—but it’s all within a charming context of, first, just getting out there and doing it. It’s about lighting a fire, before anything else, inspiring kids toward living actively.